Conrad Rocks! : Are you suffering with Night Terrors? 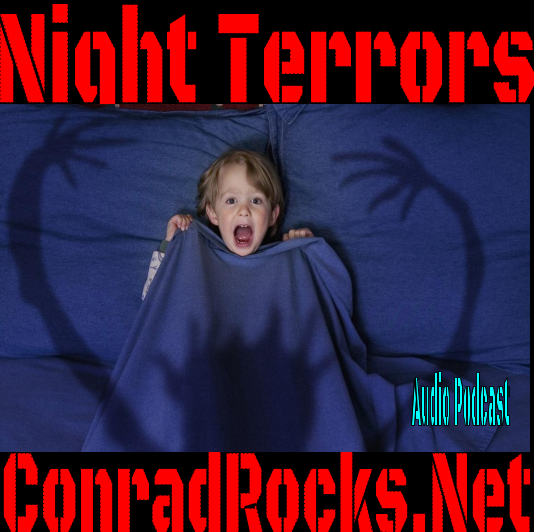 Are you suffering with Night Terrors? I received a lot of messages yesterday about Night Terror - demonic attacks. Many people experience this and think they are all alone. That is why every once in awhile i will post about deliverance. People all over the world quietly experience these demonic attacks while the church largely ignores it. I used to be tormented by night terror, sleep paralysis, and demonic activity while the church and my family labeled it as childish nightmares. The very word comes from the experience of being suffocated by a demon at night. Which is EXACTLY what people are privately suffering with all over the world. This has been swept under the rug by the church for centuries as a taboo. The church did not provide guidance during my time of struggle. I felt like i was weird and just kept quietly suffering until i had become desperate enough to diligently seek answers on my own. If the church (which is supposed to be THE source of biblical answers to spiritual problems) doesn't deal with the supernatural, where are tormented people going to go? I was desperate to find answers and thought for sure that Christianity was fake because of the way they dealt with the supernatural. It is taboo. Don’t dare talk about it - even though the bible is chocked full of the supernatural. The New Age welcomes people struggling with night terror and supernatural experiences with open arms. People flock to the New Age religions because they are providing answers to the supernatural. They are getting people that the church should be getting. This should not be so, but that is how it is. For those of you suffering with demonic activity and night terrors. There are reasons found in scripture that will show you why this is happening. There is also victory in Jesus - The AUTHOR of of our faith (Hebrews 12:2). You need to be a proactive, diligent, 'seeker' for the solution. Most likely, It isn't going to just land in your lap. And - there are a lot of people that will lead you astray with counterfeit answers. Get SERIOUS about personally seeking JESUS and He will guide you. The counterfeit church will not. Here are some scriptures to meditate on. Jas 1:5; If any of you lack wisdom, let him ask of God, that giveth to all [men] liberally, and upbraideth not; and it shall be given him. Matt 17:21; Howbeit this kind goeth not out but by prayer and fasting. John 16:13; Howbeit when he, the Spirit of truth, is come, he will guide you into all truth: for he shall not speak of himself; but whatsoever he shall hear, [that] shall he speak: and he will shew you things to come. Heb 11:6; But without faith [it is] impossible to please [him]: for he that cometh to God must believe that he is, and [that] he is a rewarder of them that diligently seek him. It is time to get serious about your personal relationship with Jesus. This is why I constantly stress for you to have a SPIRITUAL relationship with the BIBLICAL Jesus! Here is the post that generated the Hubub.. 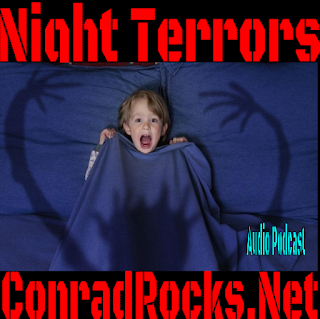 Listen to "Night Terrors revisited" on Spreaker. I finally wrote a book about how to Overcome Night Terror!